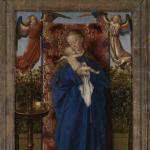 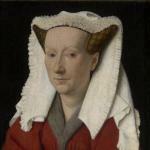 In the function of the purpose of the painting, the masters from the 15th Century adapted the format. 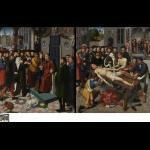 The tableau, often on large scale, can consist of a single panel, a trriptych with sides, or multiple panels. 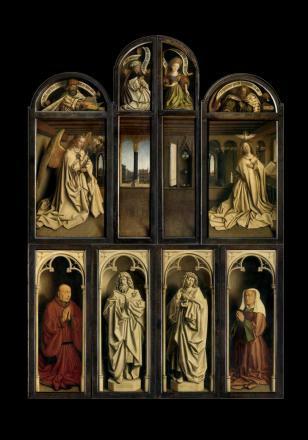 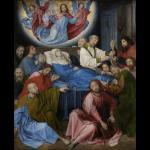 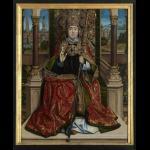 A polyptych, or multi-panel, was perfectly suited for the representation of the events from the lives of the saints. 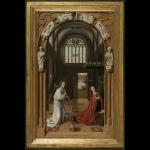 For private meditation, a small iconic panel was painted. 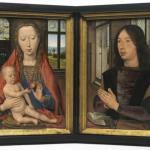 A typical two-panel for intimate devotion often contained a portrait on one of the pieces. 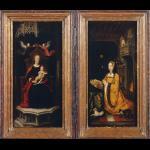 The large diptych was also used for moralising themes. 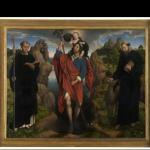 The single panel was used primarily for the portrait, which in this perioed was elevated to a proper work or art.